Design : High Quality Natural Red sandalwood beads are strung in strong thread having traditional knots between each beads . Red sandal beads have a very pleasant and soothing natural aroma. 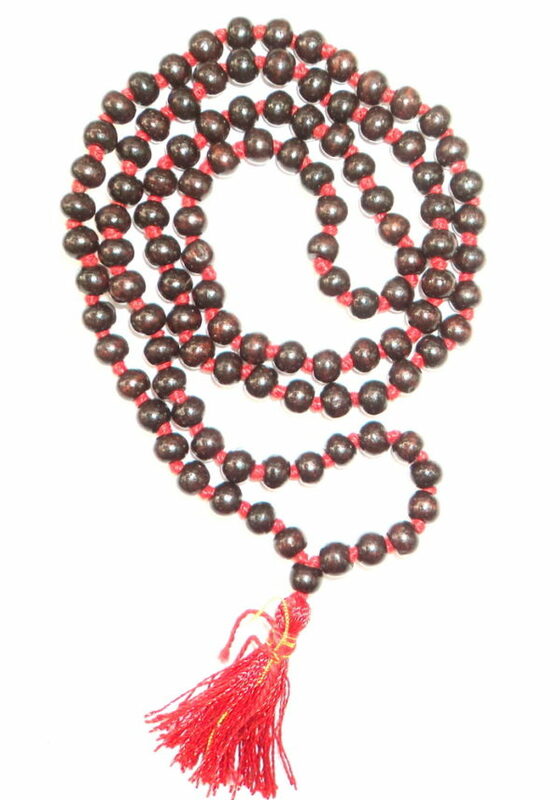 Smooth beads of high quality ,original red sandalwood are hand crafted to make this beautiful mala of 108+1 beads. Red sandal beads unfolds vibrant energy and gives bravery, strength and willpower. Used for Japa of mantra of Goddess Gayatri and Surya mantras. It is also helpful for indigestion and fever.Attracts abundance and prosperity. It soothes pitta dosha and helps one to conquer the senses. 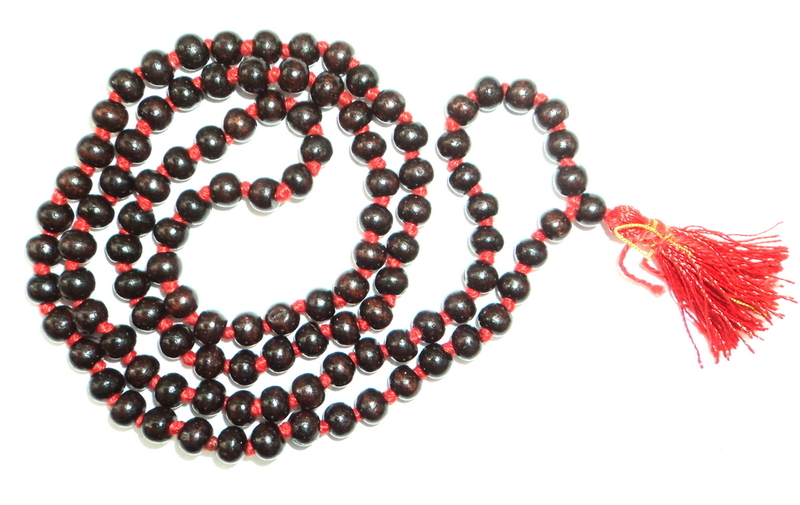 Wearer of red sandalwood mala enjoys all comforts at his authority. Suggested for Headache, Heart Diseases and Right Eye Defect.